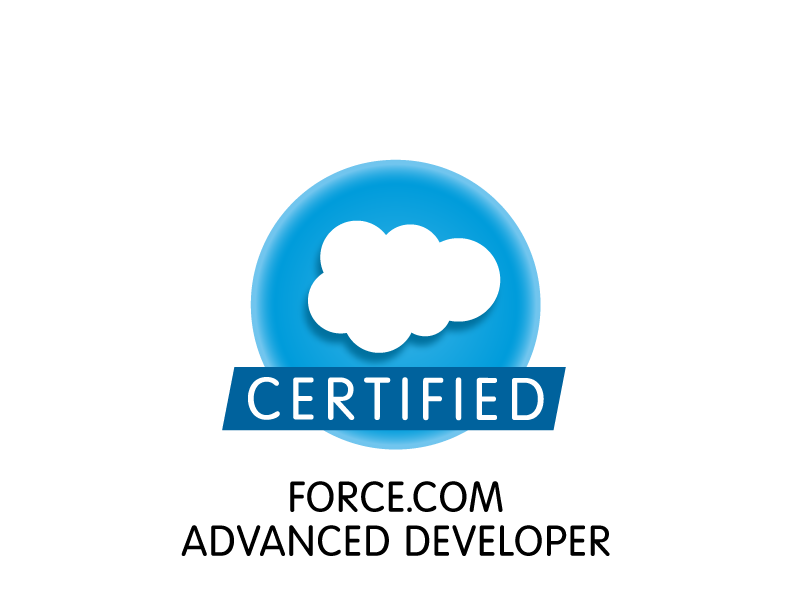 After six very intense weeks of study, I finally cemented my status as a Certified Salesforce Developer on March 9, 2013. As a former Microsoft MCSD, MCDBA and MVP, let me just say that Salesforce sure ain’t giving these things away. The test was VERY tricky and reminded me of the certification tests for Microsoft SQL Server (those were not easy either). The funny part is that if you look at the official logo on the left, one might be led to think that the large slash through Software would indicate this stuff is a piece of cake. That is not exactly the case. 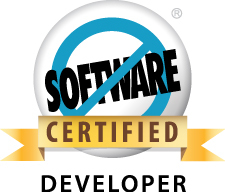 While I will admit that Salesforce has removed many of the complexities associated with software development, such as setting up and maintaining development and database servers, it has not totally done away with software (as their logo might suggest). What they have done is expose to small and mid-level businesses the potential of using some very highly functioning and scalable business applications through their affordable and subscription-based cloud-based platform. As a software developer with twenty-years of experience building enterprise-level business applications for a variety of industries, adding the expertise of cloud-based development using the Force.com platform was a no-brainer. I simply cannot lose with this certification. The demand for highly-trained cloud-based developers is sky rocketing and I intend to strap myself to the top of that rocket. In the next few weeks, I will continue my education as I prepare for the Salesforce Advanced Developer Certification. This distinction will be even harder to get, as I need to not only pass a grueling test, but I also need to complete a programming assignment and then defend my programming choices in a proctored essay exam. I feel like at the end of this I will have earned a Salesforce PhD. I am using the excellent Premier Training available from Salesforce to do most of my training. In the coming weeks, I will be posting notes from the online training in hopes that it benefits anyone else out there trying for this certification. There cannot possibly be too many of us. The better trained other developers are in this field, the easier it is for me to work with them. It is also better for me, because they will be producing good solutions that highlight the platforms enormous potential and create opportunities for EVERYONE! Please share with me your thoughts about cloud-based development and specifically the Force.com platform. I would love to hear from you.